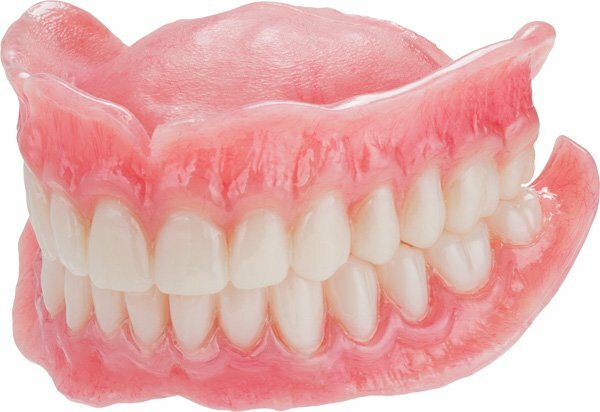 We offer quality dentures in Ottawa that instill confidence and provide optimum function while eating, speaking or laughing. We work with you to determine what your requirements are and how to best meet them. We then consider various types of dentures and dental implants that satisfy your specific requirements. Moreover, we partner with the best cosmetic dentists in Ottawa and best oral surgeons to ensure you receive a comprehensive dental treatment. 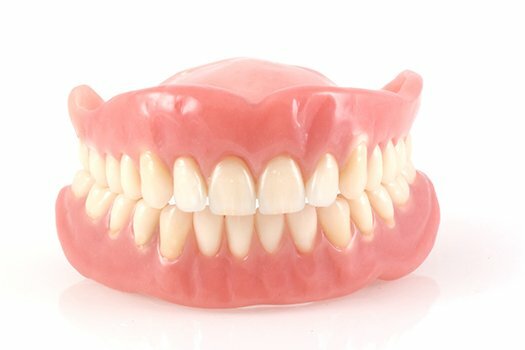 Furthermore, we also offer affordable denture services and treatment plans to suit your lifestyle and budget. We pride ourselves in being the best denture clinic in Ottawa by always exceeding quality expectations. To ensure you receive quality services we also offer top of the line implants and implant supported dentures that offer an unparalleled long term teeth loss solution. 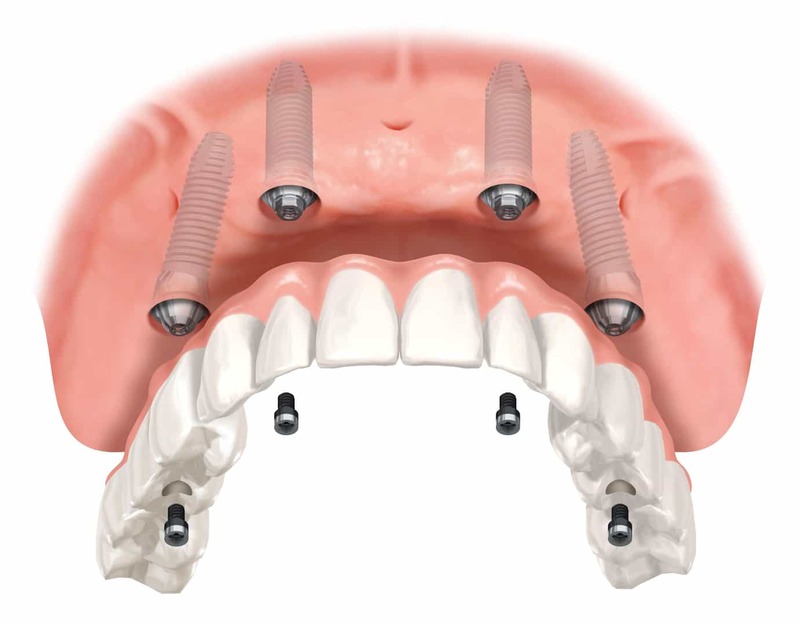 We are partnered with a dental implant clinic that specializes in implant supported dentures. 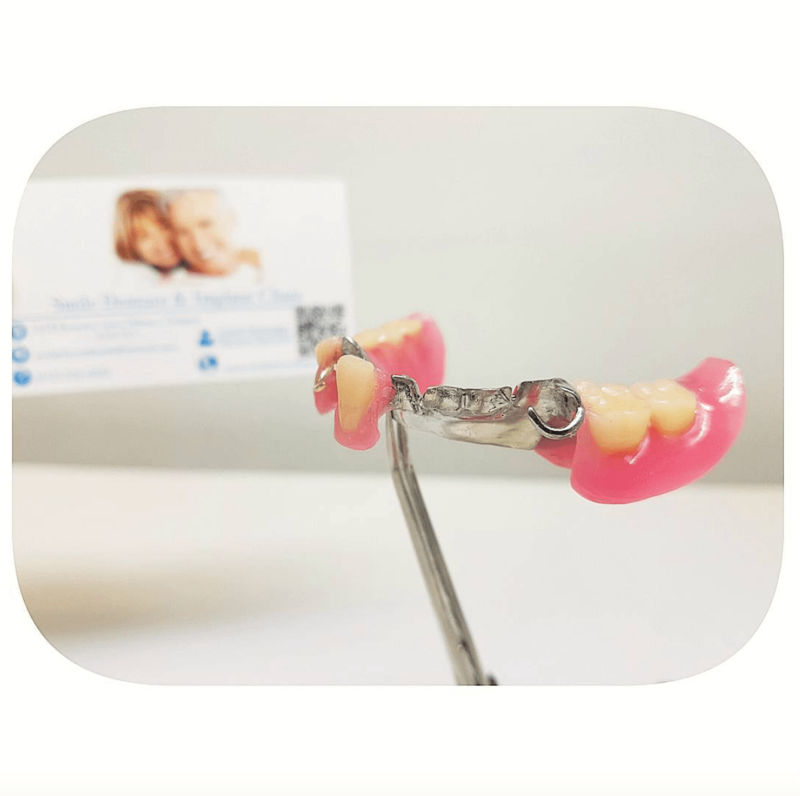 Implant supported dentures, commonly called all on 4, provide superior fit and feel, compared to the conventional prosthesis. Dental implants are an excellent option for people who have lost a tooth or teeth due to periodontal disease or an injury and want the best treatment available. In fact, dental implants can be used to replace a single lost tooth or many missing teeth. Many patients who have chosen implant supported teeth report they are happy and comfortable for the first time since the loss of their natural teeth. These teeth do not feel like false teeth, in fact, they are as close to the natural healthy teeth as you can be. 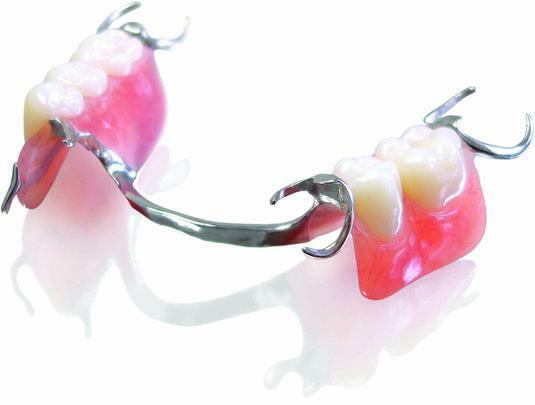 We offer removable partial dentures made to replace one or more teeth. They are made up of one or more artificial teeth held in place by clasps that fit onto nearby natural teeth. You can take them out yourself for cleaning and at night. Moreover, partials will prevent your natural teeth from shifting or drifting into the space left by the loss of a natural healthy tooth. They will also restore your natural appearance and greatly improve the ability to chew and speak clearly. We strive to be the best clinic in Ottawa by providing quality services and affordable treatments that exceed your expectations. Smile Denture and Implant Clinic in Ottawa offers immediate dentures completed on the same day. An immediate denture is a complete denture or partial denture inserted on the same day. Our denturist in Ottawa will usually do this immediately following the removal of natural teeth to help you avoid having to go without any teeth during the healing process. This involves taking impressions of your mouth while your natural teeth are still present. Our denturists will then create a denture similar to your natural teeth, and make any modifications you may wish. We aim to exceed your expectations as the best denture clinic in Ottawa. In most cases, an existing broken or cracked dentures can be restored to its original state. 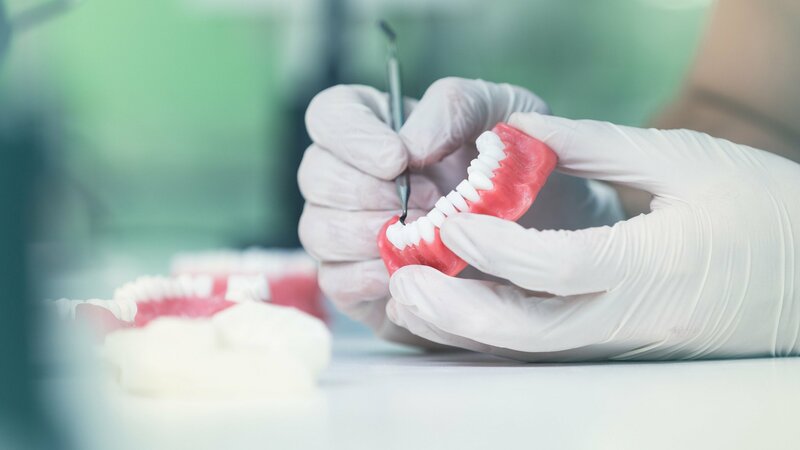 Our clinic offers these repairs in cases where breakage or chipping occur, when one or more teeth must be added to an existing denture after tooth extraction or due to wear and tear. Most of these repairs can be completed in one day. Often underlying problems such as age of the denture, worn teeth or poor fit may be the reason you require repairs. Our Denturist can best explain how to prevent future breakage. 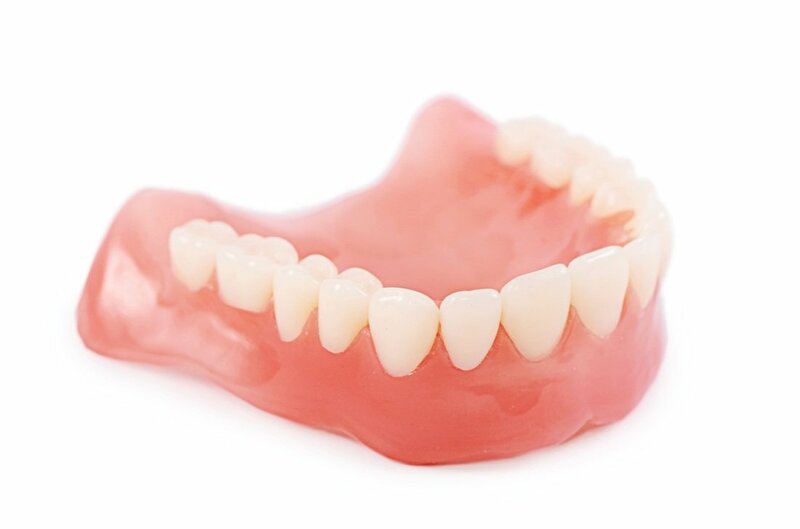 We are happy to offer a full range of denture related services in Ottawa, please check out our page on services for more information. Smile Denture and Implant Clinic in Ottawa offeres rebase services for your convenience. In those cases when the denture teeth have not worn as thoroughly as denture base material, rebasing is often a good solution. 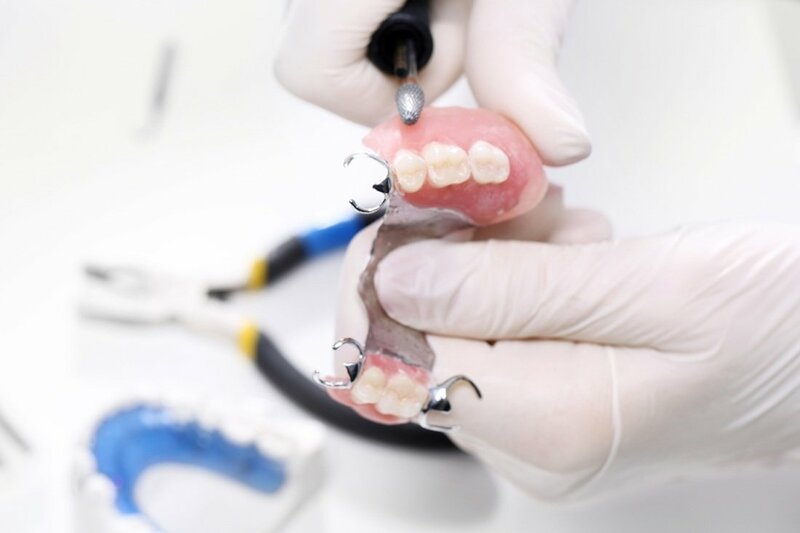 This is a process of retrofitting dentures by replacing the acrylic denture base, providing a stable denture that incorporates denture teeth. A permanent soft liner is a layer of soft material that is fitted to the surface of a denture and rests next to the oral tissues. In short, a soft liner acts as a cushion or shock absorber between the hard plastic base of dentures and the gums. Soft liners can be used in the fabrication of new dentures or placed in existing ones. Our clinic offers permanent soft liners to provide you comfort and relief in cases of severely receded or flat gums. Because of a custom-made delivery system and the latest teeth-whitening, you can now enjoy a brilliant smile. Teeth-whitening is a simple, effective process that lightens discoloration of enamel and dentin. The process uses a peroxide-based gel stored in a custom-fitted appliance worn over your teeth, during the day or while you sleep. Tooth discoloration can be caused by many factors, the most common of which is aging. Teeth are also subject to staining substances (coffee, tea, cola, tobacco), trauma, antibiotics, excessive fluoride and nerve degeneration. Results are often seen after the first night. Best results usually occur when the process continues for ten to fourteen nights. Your teeth will always be lighter than they were. Some patients may require re-whitening for one or two nights, every four to six months. 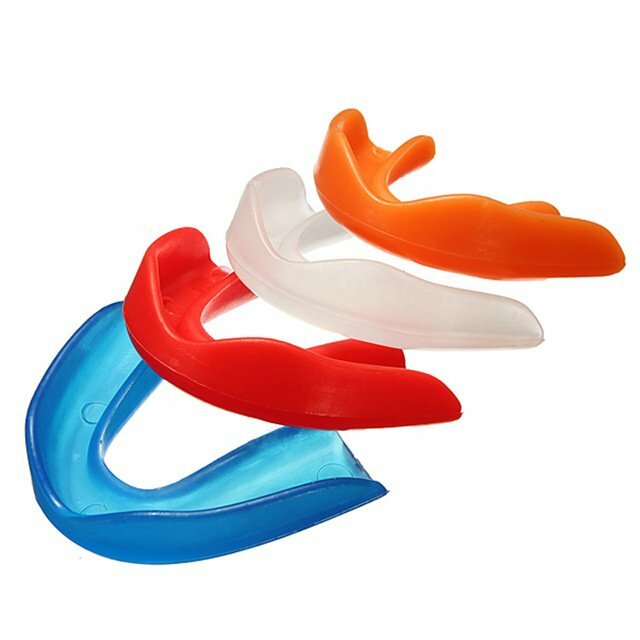 Athletic mouth guards are made of soft plastic. 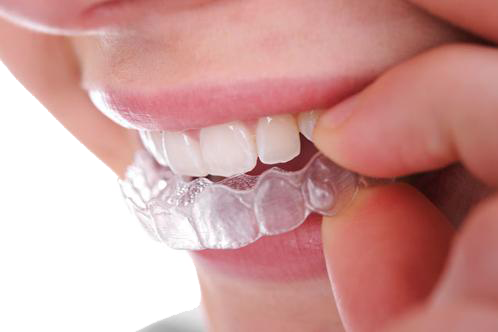 Moreover, they are adapted to fit comfortably over the upper teeth. They protect not only the teeth, but also the lips, cheeks and tongue. Also, they help protect a person from concussions and jaw fractures.